Below you will wind a link for the Parent Connection for September 22. 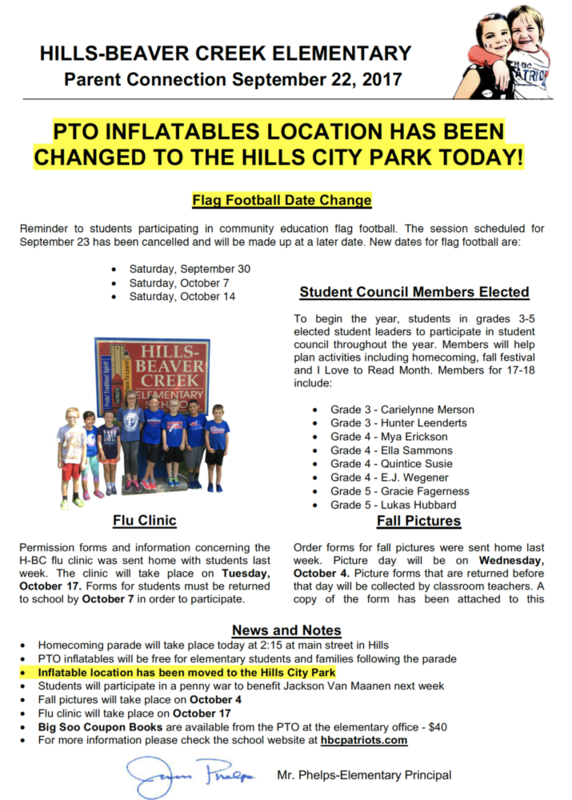 Reminder that the inflatable location has been changed to the city park after the parade. Flag football will not begin tomorrow. The first date for flag football will be September 30.